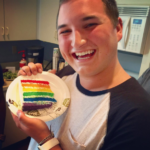 LGBTQI Life, located within the physical structure of the K.C. 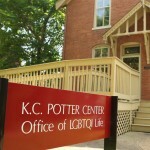 Potter Center, is a cultural center and a place of affirmation for individuals of all identities, and a resource for information and support about gender and sexuality. 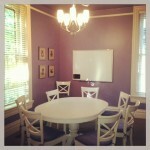 Students, faculty, staff, and alumni are encouraged to stop by during our office hours, from 8am-5pm, Monday-Friday. Summer hours may differ. 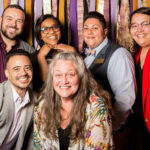 The most comfortable couches on campus, a useable kitchen, an extensive LGBTQI+ DVD and magazine collection, and lively conversations are among the many reasons to visit us. The office is also open during our student group meetings, programs, and events. 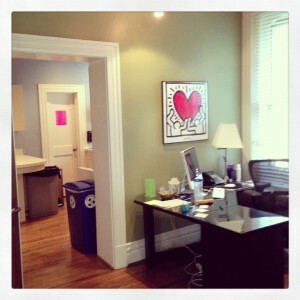 We are staffed by three full-time professionals, two graduate assistants, and a team of student assistants. Vanderbilt affiliated groups and offices can also reserve the center for your events and programs using the reservation form below. Conference room available for reservation. Seats 8 comfortably. Students staff our front desk and can answer questions about programs and services. DVD's are available for check-out. 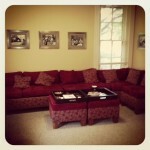 Students lounge and do homework in our living room daily 8am-5pm. Netflix available for student use. K.C. Potter, Vanderbilt’s long-serving dean of residential and judicial affairs, retired after 36 years at the University as a student and administrator. 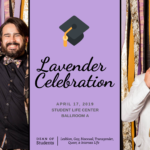 Potter cared deeply for all Vanderbilt students, particularly marginalized students, including Vanderbilt’s LGBTQI+ population. Potter was the first administrator to reach out to them, give them a voice, and help them stake their claim of campus life. 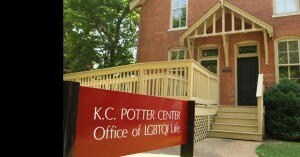 For almost 10 years, Potter let Vanderbilt’s LGBTQI+ undergraduate student group, Lambda, meet at his home on West Side Row. Potter now spends his days happily working on his farm with his partner, Richard.